Home> Mobile> Games> iOS iOSAndroid> Role Playing ActionAdventureArcadeBoardCardCasinoDiceEducationalFamilyKidsMusicPuzzleRacingRole PlayingSimulationSportsStrategyTriviaWord> Soccer Superstars® 2011. Enjoy the full version of Soccer Superstars 2011 now for FREE! FULL FEATURED SOCCER WITH EVERY MODE IMAGINABLE! Soccer Superstars 2011 is a full featured soccer game with 6 different modes available. Develop your own player and compete against the intensified AI using easier and faster controls as you indulge in the engaging storyline of the world of soccer! Select from different modes to quickly raise your character and experience the benefits of the semi-auto mode with the improved AI just by using the pass and shoot buttons. Recruit among 8 legendary players, customize head-to-toe, and compete against a total of 60 clubs, 79 nationalities, and 3000 players. 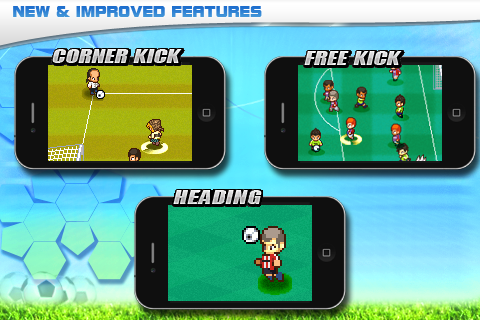 New features such as header, free kick and corner kick to boost up the excitement along with various super skills such as teleportation, high-speed dash, and bullet speed shooting. 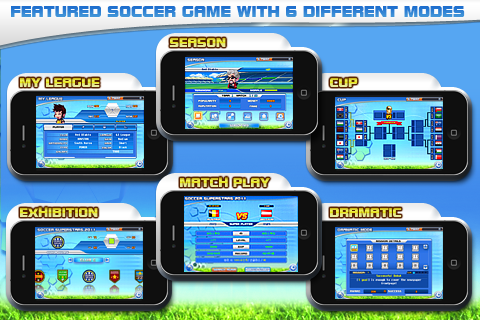 6 different modes include Exhibition, My League, Season, Cup, Dramatic, and Match Mode to guarantee endless play time. 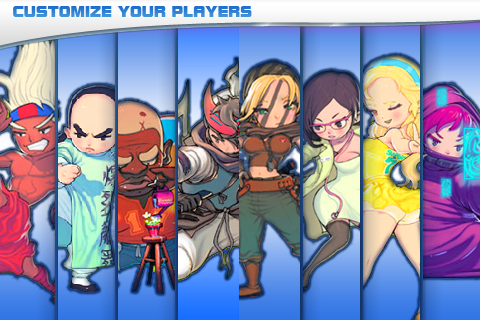 Customize name, physical features and apparels including various items available with G POINTS! More Games by GAMEVIL Inc.